Hunt the Peace River Valley near Fairview,Alberta. The Peace and Smoky River Valleys and their tributaries as well as the surrounding boreal forest and agriculture country provide tremendous habitat for bears. This area harbors a very high percentage of big color-phase bears.Many 7 ft. bears are harvested annually. The hunt is conducted from a beautiful 4,700 sq. ft. lodge with all modern amenities including private bedrooms, hot showers, telephone, internet access and satellite TV. There is a 2 bear limit and hunter success runs extremely high on harvesting both bears. Hunt northern Saskatchewan on over 3,000 square miles of prime bear hunting habitat.The boundary runs from Povol Lake (northwest of Deschambault Lake) east to the Manitoba border, and south from Brownell Lake to Herman Lake. Most of the stands are accessible by boat on Deschambault Lake. High percentage of large bears harvested annually (including approximately 30% color-phase),mainly due to the limited number of hunters taken. Hunt includes clean & comfortable cabin accommodations along with great meals. Excellent fishing is a bonus. With over 2 million exclusive acres to operate in this outfitter maintains excellent success on trophy bears. Hunt very remote bait sites,accessed only by ATV’s or swamp machines. Hunters will have a choice of multiple active bait sites to allow movement during the week, thereby increasing the opportunity to harvest a quality bear. 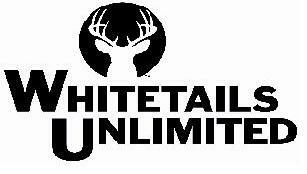 Hunt includes all meals, lodging, license/tags and trophy care. Operating under a Chugach National Forest special use permit, this hunt takes place in pristine Prince William Sound aboard a 50 ft. private yacht. Prince William Sound has a reputation of having perhaps the highest concentration of trophy black bears on earth.Nowhere where you see a higher number of bears, a bigger percentage of large male bears or more perfect hides.The hunt begins and ends in beautiful Valdez,Alaska.After an overnight stay in Valdez, you will be met the next morning and taken aboard the yacht for 7 days of world-class bear hunting.While hunting, you will stay on the boat with 3 bedrooms, 2 bathrooms, a full-time cook and lounge area.Generally, you will see 30 bears on a spring hunt and near 100 on a fall hunt. This hunt produces 90%+ on large male bears with perfect hides. Female bears and small bears are not harvested.This is strictly a trophy hunt. Located 110 miles north of Fredericton in the beautiful Tobique Valley, you will find over 200 miles of active bait sites strategically placed for hunting trophy bears. Lodging accommodations and meals are included. Fantastic> fishing for native brook trout, lake trout and smallmouth bass is also available. Situated at the top of a mountain in the historic area called Skedaddle Ridge, this small, family-run operation hunts thousands of acres of woodlands, farmland and rolling hills. Baited stands accommodate both archery and rifle hunters.Cabin accommodations are clean,comfortable and include bedroom,bathroom & shower facilities.Home-cooked meals are prepared and served in a separate dining lodge.This hunt also includes your license. This “fall hunt” takes place in northeastern Ontario on beautiful Shining Tree Lake. This hunt includes active baits, guide service, meals and lodging. Accommodations are clean and comfortable housekeeping cabins with bathroom and shower facilities.This hunt has an exceptional success rate and offers a “guaranteed bear sighting” (some restrictions apply). Limited use of boats and motors are also available to fish for walleye, pike and smallmouth bass or venture to a nearby lake for all species of trout. Hunt northwestern Ontario in one of the most unique lake and forest systems in Canada. Forests with high rocky ridges, natural funnels,huge timber and interspersed with many lakes, rivers and ponds, this place has the key ingredients for trophy game and fish.Accessible only by boat or float plane, this area is a truly “get away from it all” wilderness. This hunt includes baited stands for both archery and rifle hunters.Accommodations are individual rustic log cabins equipped with beds, propane gas ranges, electric refrigerators and lights.A separate shower house is located at the main lodge. Meals can either be provided or you may cook your own. Many trophy bears abound here as the area has very limited hunting pressure. Only 8 hunts available. Fishing here is “world class” and is noted for its “quality” fish. Species include pike,walleye,musky, bass (small & largemouth),lake trout, yellow perch, sauger, crappie and whitefish. Hunt the thick timber ridges, clearcuts and bottoms of the Williston Lake region of northcentral B.C. This 2,500 square mile concession has a dense population of black bears and has a two bear limit. 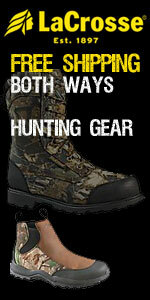 Hunt either from a main lodge or spike camps to suit your needs. Fly to Prince George, B.C. then take charter flight to main lodge where hunt begins. Hunt the southeastern Kootenay region of British Columbia.This spot and stalk hunt is conducted primarily on horseback, with 4x4 and foot travel as needed.Many bears squaring between 6 to 7 feet are harvested each year. This area has a two bear limit and also offers the opportunity to harvest chocolate, cinnamon and blonde color-phase bears as well. Unlike traditional “baited” stand hunts, this is a unique hunt for those who want to get out in a wilderness setting and log some miles glassing over some beautiful country. Treeing Walker hounds are also available adding another different twist to the hunt. Some of the largest black bears found anywhere in North America can be found in New Foundland and the Serpentine Valley is home to a large black bear population.The beautiful lodge is located on the north side of the Serpentine River at the base of the Blow-Me-Down Mountains overlooking the Lewis Hills.Hearty meals and fantastic fishing are also included on this hunt which takes place in late Spring or early Fall. Success has run 100% the past 4 years. Hunt 430 sq. miles of exclusive baiting area in northern Maine.Camp accommodations and excellent meals included. Fall hunt only. Hunt the scenic country of northern Idaho in the Clearwater National Forest. This area offers some of the best bear hunting in the lower 48. This region features a high harvest ratio of “color-phase”bears with the last several years running close to 60%. Both bait and hounds can be used during the spring season. Hunters who seek a real trophy opportunity should choose the hound/bait trophy combination hunt. This hunt offers the best chance for exactly the bear you’re after.